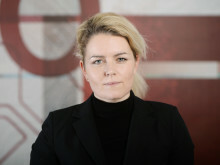 Copenhagen, October 25, 2016 – NNIT, a leading provider of IT services and consultancy, has entered into an international partnership with Informatica®, the world’s no. 1 provider of data management solutions. The partnership enables NNIT to incorporate Informatica’s extensive portfolio of data management solutions into its own offerings and will primarily focus on solutions to some of the most important regulatory challenges currently facing the life science industry. 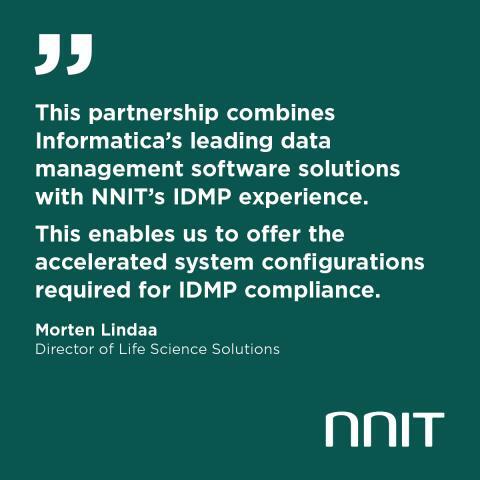 NNIT develops solutions for IDMP on top of Informatica’s standard products so clients will benefit from a complete and comprehensive solution. Information Management is a critical element enabling pharmaceutical companies to integrate all data sources, manage master data and generate valuable insights. Informatica’s award-winning data technology is used by more than 7,000 enterprises around the world and comprises a complete portfolio of data management solutions including data integration, data quality, cloud integration, master data management, and data security. NNIT is an international consultancy in the development, implementation, validation and operation of IT for the life sciences industry. We create value for our clients by treating their IT as if it was our own, and of course, we meet the industry’s strictest regulatory requirements. We apply the latest advances in technology to make our clients’ software, business processes and communication more effective. Currently NNIT A/S has more than 2,600 employees. For more information please visit www.nnit.com.